Have you ever wanted to do something but were afraid to do it? My children are very adventurous. Unlike me, they are confident swimmers. I was on a float in one of the beaches in the Philippines when I fell asleep. I was swept away into deep waters and was almost lost. Luckily someone spotted me and I got rescued. I was in my early teens. Since then, I am afraid of deep waters. The only time I braved it was during my swimming class in college. In order to keep my full scholarship, I had to maintain an A average. So with that motivation, I passed that class – including jumping off the diving board and swimming the entire lap. 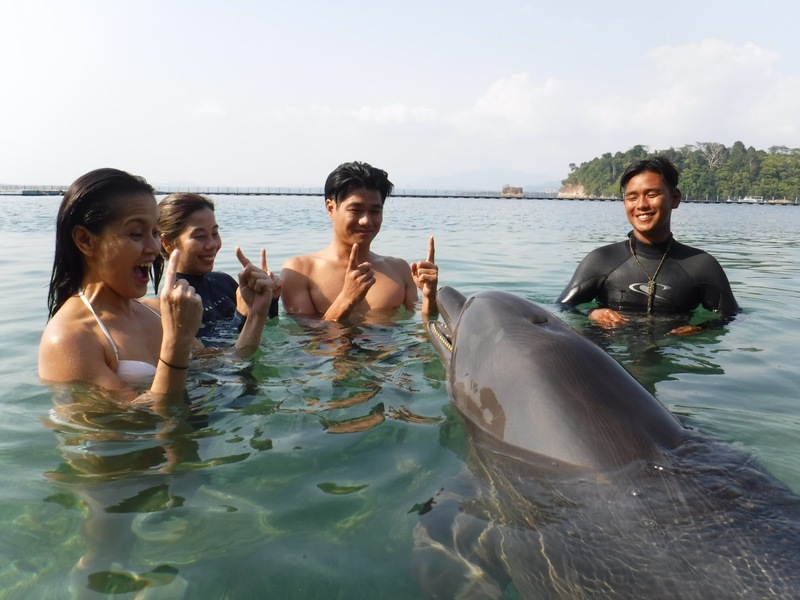 While vacationing in the Philippines, my children and nieces explored and swam with the dolphins. I always envied them. 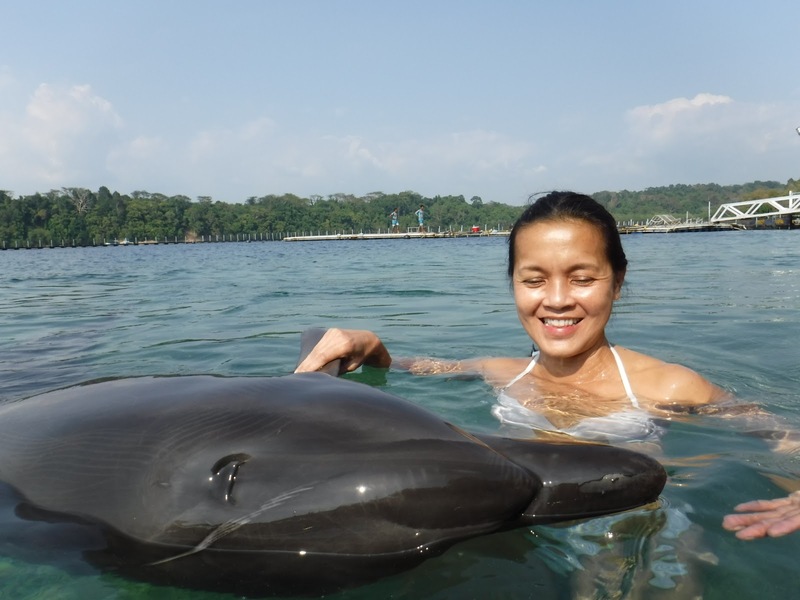 On my last visit in March, I got the courage to try and swim with the Dolphins too. I figured that I would be wearing a life vest, so that should be easy, right? At Ocean Adventure, after a short presentation about the dolphins, we headed to the beach. 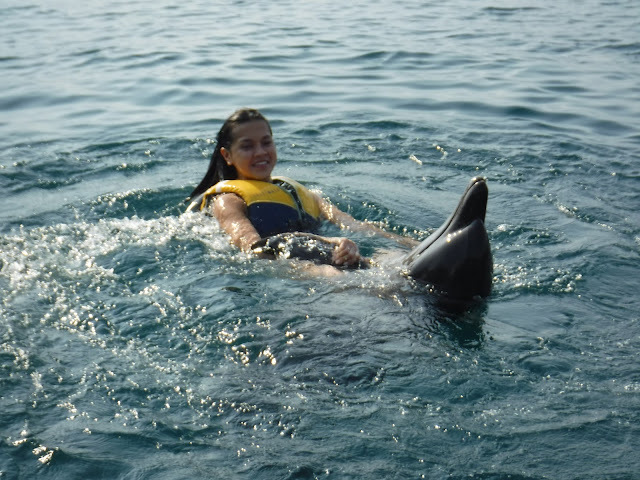 The first part of the interactive experience began with getting to know the dolphin - without the life jacket. Luckily, one of the guests offered her arm for me to hold on to. After a few minutes, I got comfortable and my fears went away. We got to touch the dolphin and learned about it’s sensitive body parts. This gesture makes the dolphin sing. I got to feed the dolphin, too. 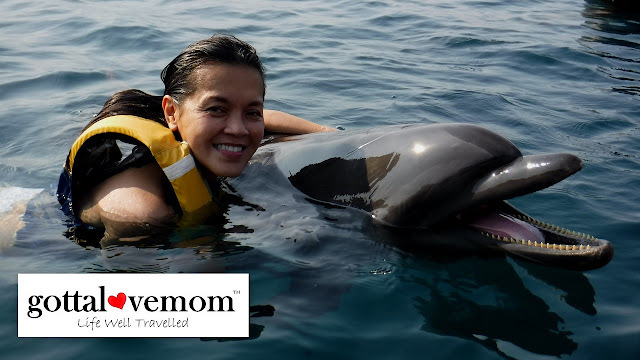 The next part of the experience with the dolphin, we were given a life vest. I hopped on a surf board, stretched one leg straight and one leg up. That’s when the dolphin pushed me to the other side of the dock. 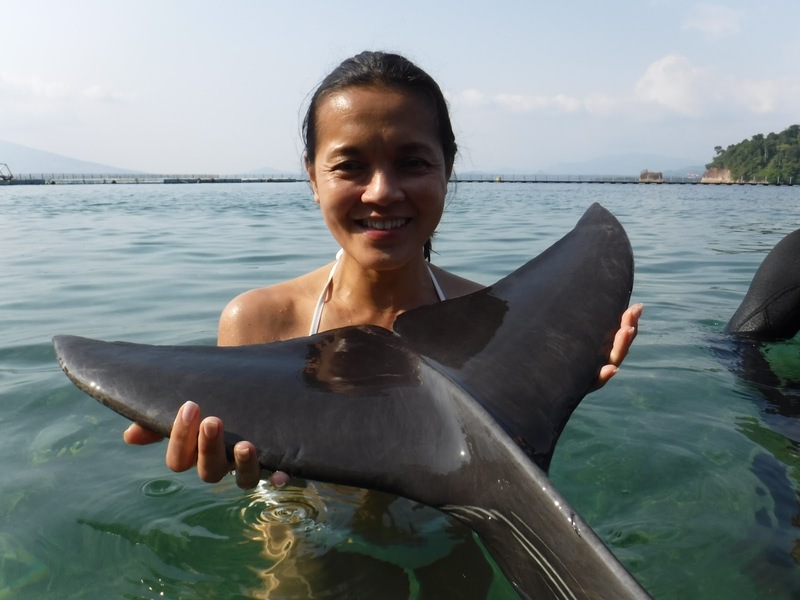 On the other side, I was able to feed the dolphin and danced around before holding on to its fins and swam back to the shore where my mother and brother were waiting. Needless to say, I felt like a kid who just learned how to swim - and kissed the dolphin! My mother, my brother and I spent the rest of the afternoon watching a dolphin show. Lesson learned: The fears we don’t face become our limits. When possible, don’t let fear of what could happen, make nothing happen. We usually find the courage to do something, if we really want it to happen – and yes, there are plenty of fun things to do in the Philippines. Do you have any adventures you want to share? Photos were taken by the Ocean Adventure photographer. Like all the other photos in this site, please don't download or use without letting me know.